Long weekends , make me go crazy with excitement. And then, Google search sees a sudden trend on" 3 day getaways in India ". I for once don't go to sleep unless I have found my destination . This time, I had a strong urge to explore Rajasthan. Surprisingly, I have never been there. I zeroed in on Udaipur ,because I was mesmerized by the "all-white" photos I saw on google. 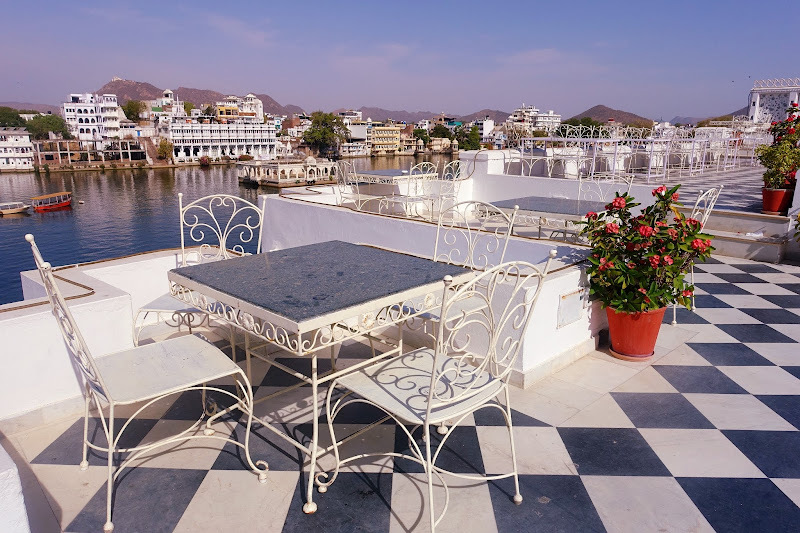 After visiting the Spanish "white village" of Arcos De La Frontera, of which I will share my travel post, I found the all-white Udaipur very captivating. 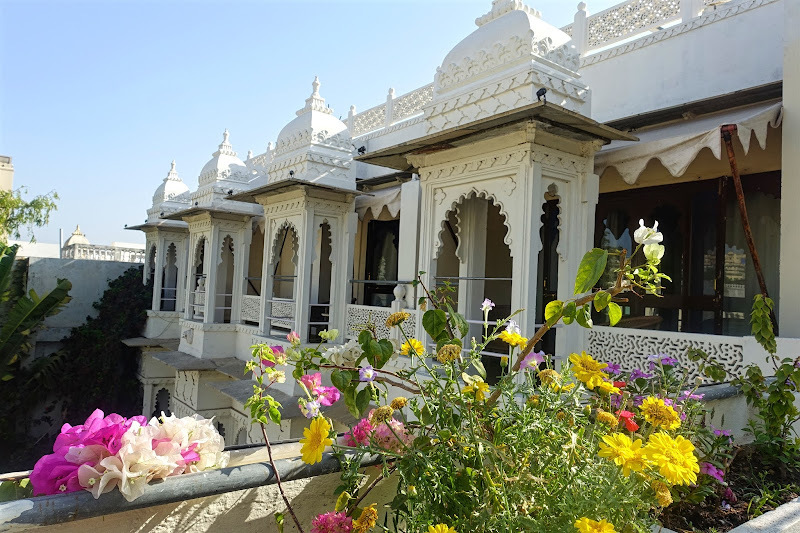 Scouring through multitudes of options to stay in Udaipur , I just knew I wanted to live my 3 days in 3 different heritage havelis. Just the thought of checking in everyday noon and checking out every morning made my partner in crime a little uncomfortable. But I assured him that this surprise will be nothing short of magic. I use booking.com to book my stays in India while tripadvisor.com to read user reviews. I took a good 15 days to finalize on the 3 havelis out of the many and I can't tell you how glad I feel after having experienced them all. I can go back again and repeat this vacation without a single thought! 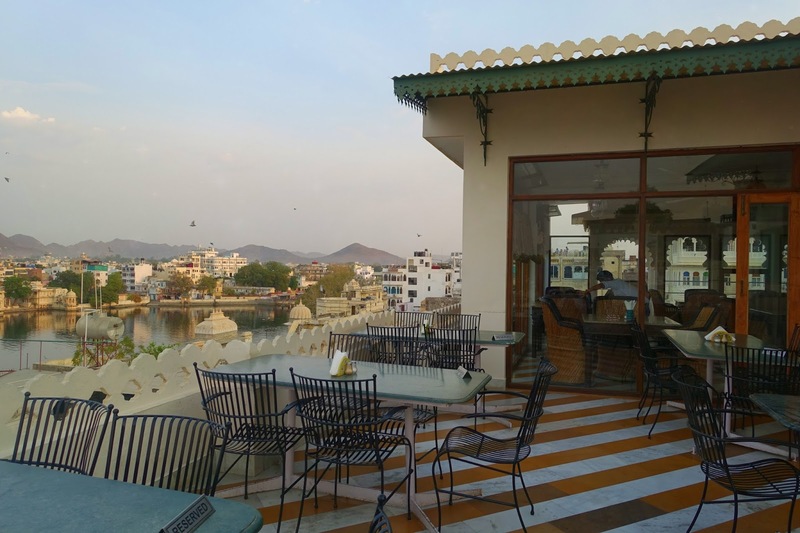 Udaipur is a true gem. 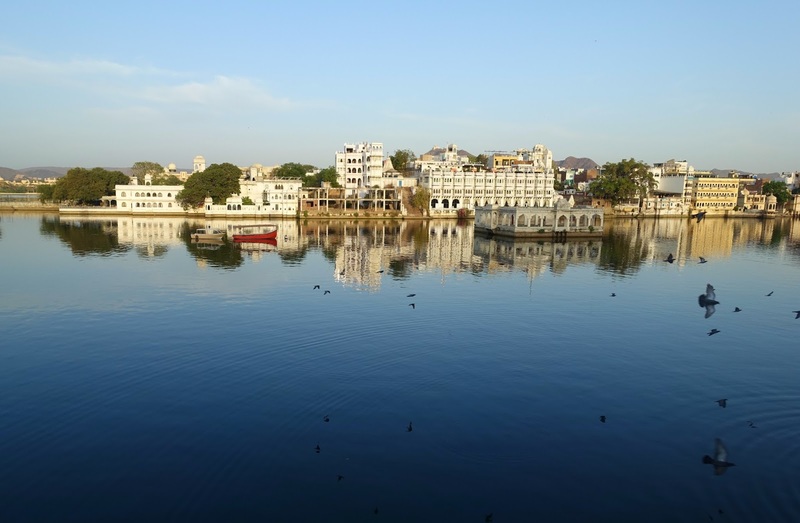 Artificially created lakes and the various havelis, dotted across the city with the signature "jharokha" style windows are nothing short of a fairytale. I booked my stays in the order of frugal to lavish. All of them, heritage havelis.I was tempted to book the 3rd day at a 5 star property, but I held on to the temptation sticking with the "Haveli" theme and I can't be more happier about this choice! The rooms though small are fully equipped and have comfortable beds. Its the best place to stay if you are sure you'll be out most of the day. The bathroom is extremely clean with modern fittings and well maintained along with very basic toiletries and towels. -Amicable owners- Run by two humble brothers , it was fun interacting with the two. 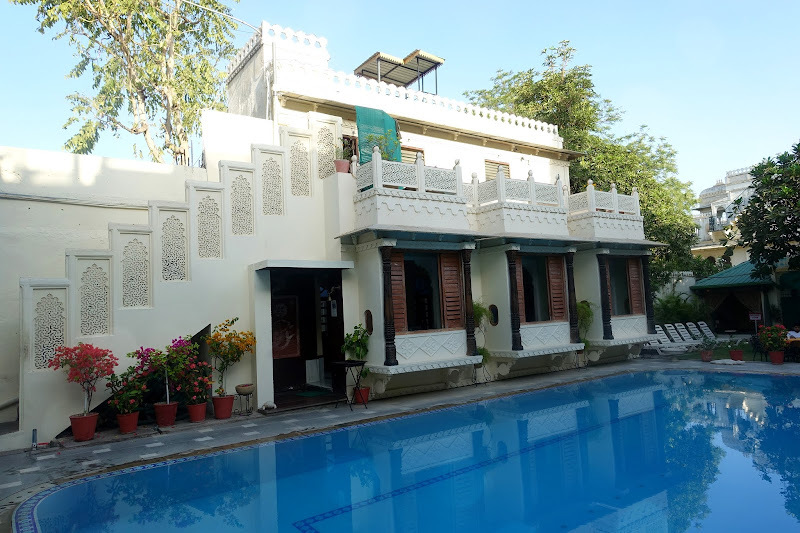 We got some really interesting tips which includes a swim in the royal Shiv Niwas palace, that we wouldn't have otherwise known. We loved the idea so much, the swim became a customary every day thing on all days. Who can resist a royal marble pool! Sigh! It has to be the swimming experience ever. 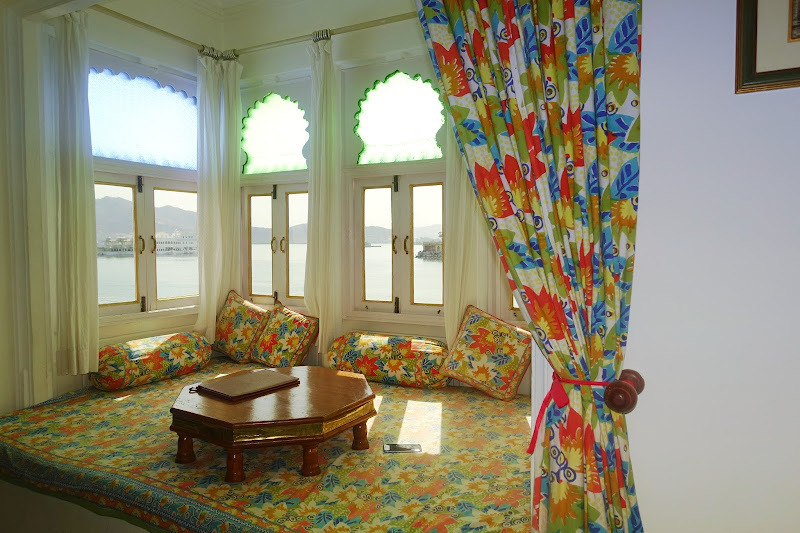 -A quaint terrace with a view of Lake pichola on one side & in the night Bagore ki Haveli on the other side. 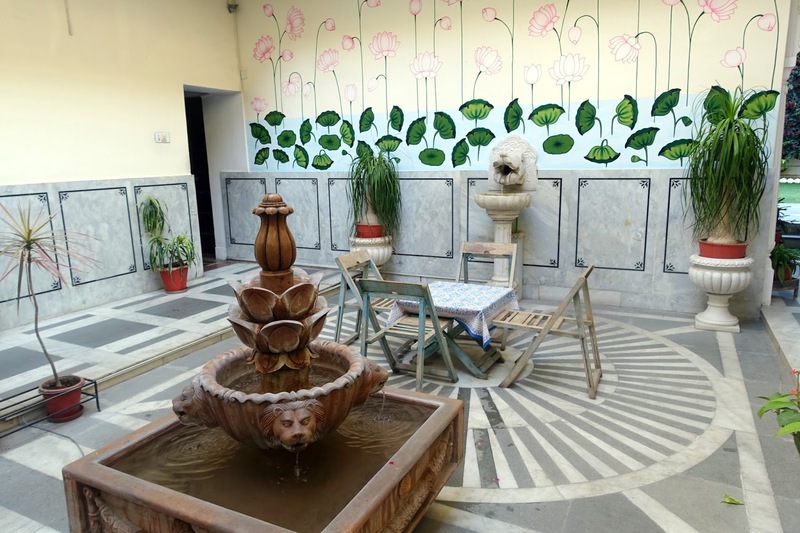 You can just sit at the terrace and hear the sounds of the cultural performance at the Bagore ki haveli. -Proximity to the local market : The downward winding lanes lead to the market within 50 mtrs . The myriad colors and textures in traditional handbags, door knobs etc is amazing. THE JAIWANA TERRACE IS A BEAUTIFUL MORNING TREAT! This place is a gem in itself. I loved my stay here but if I could change one thing, it would be the old bathroom fittings and towels. 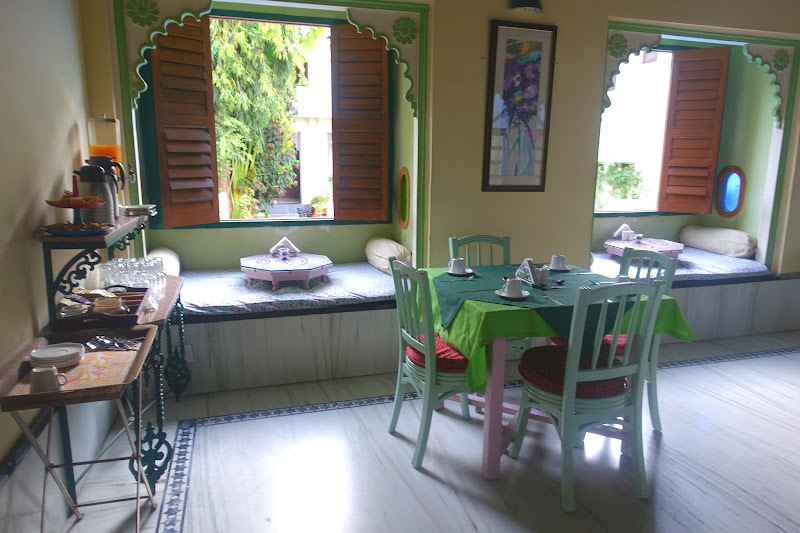 - A 300 year old Home stay- With an unbeatable old-world charm , this haveli feels like what it would've felt staying here 3 centuries ago. The furniture is beautifully preserved along with photographs from the royal era. It has its own individual character that is unmatched. The best part is the calm and quiet throughout the property. The whole place is very homely including the welcoming caretakers. 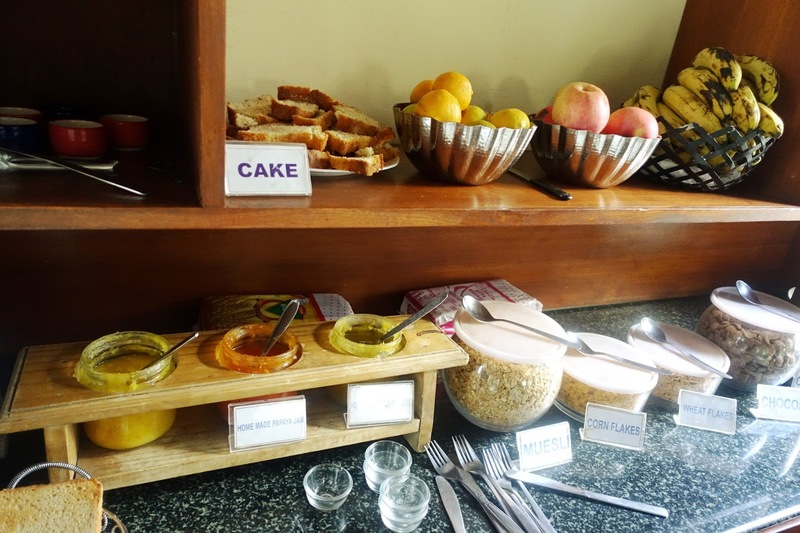 -A perfect Breakfast- If there is one thing you will enjoy the most at Mahendra Prakash, its their breakfast by the pool. The spread is a humble selection of freshly baked breads- with unique home made jams prepared in the kitchens of this haveli. The puri Aloo reminded me of my mom's cooking when she'd make this during festive occasions. You can have all the fruits you want ,if you are a health freak, and while you enjoy the fare, at 9am - Mr.amazing appears by the pool to mesmerize you with his Jal-tarang. What a fantastic ambience with soothing live music and soulful food! 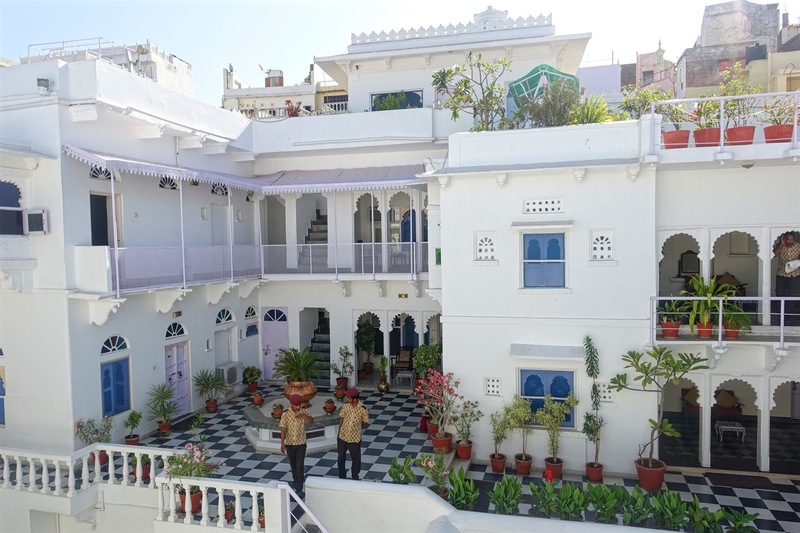 -Proximity to the palace- If you are someone who loves palaces and would love to visit there all the time- Mahendra Prakash has the best location. After a well spent morning at this place, take a stroll down the palace lanes throughout the day and perhaps that royal swim too! 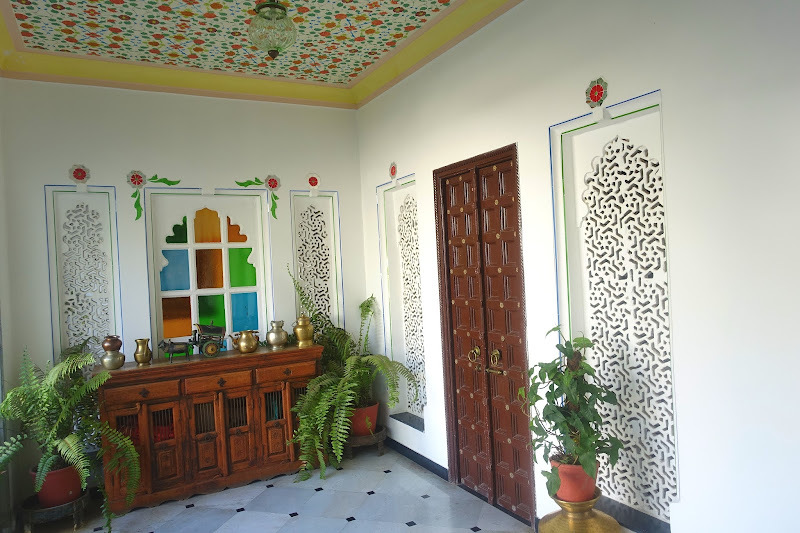 - The interiors: Jagat Niwas is a beautifully preserved pristine Haveli with 3 levels. This place reminded me of the ancestral Kothi in UP . Beautifully potted plants all over the place ,black and white tiles, contrasting turquoise windows against white walls, its all too picture perfect from every angle. - The Rooms: I may be tempted to call these rooms, the highlight of the stay. Ever imagined a lazy sunday-kinda vacation, where you sit and stare outside the window to a beautiful lake- This is it! 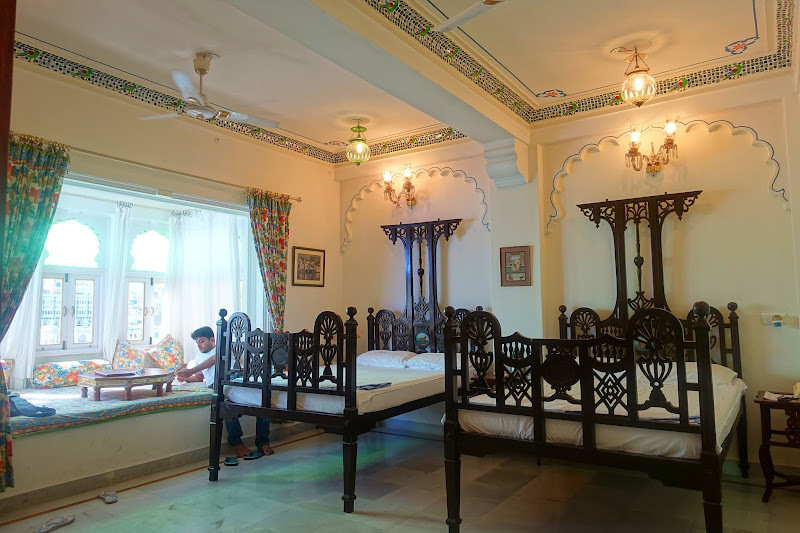 The Jharokha style windows cover one side of the room and if you open all the windows at once, you could be sitting at that place forever without getting bored. I must have taken zillions of photos, of the lake from the window. Trust me if you stay here, you may not want to leave the room for anything else! -The Terrace: While I enjoyed the room, little did I know, the terrace would be a wonderland in itself. Much to my surprise , its huge , again with lots of floral pots and overlooks the gorgeous lake Pichola. With its white metal chairs, this looks like a perfect fusion of an Indo-french patio. While the breakfast area was similar to the windows in the rooms, I found the price steep. The breakfast is popular visually, with an array of croissants and other European fare, however, I was not keen to try. THE TERRACE: LOVELY , ISN'T IT? Like I said, besides the stay ,I loved the pool in the Royal Palace and I feel it deserves a place on the blog of its own, so follow the next post! 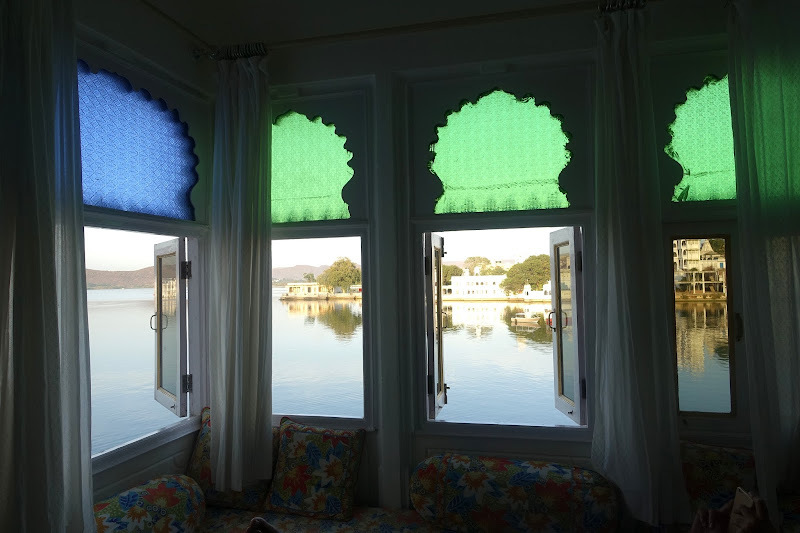 Hope you loved the post and Udaipur stay through my tiny itinerary of 3 days! Post your questions/feedback in the comments section.